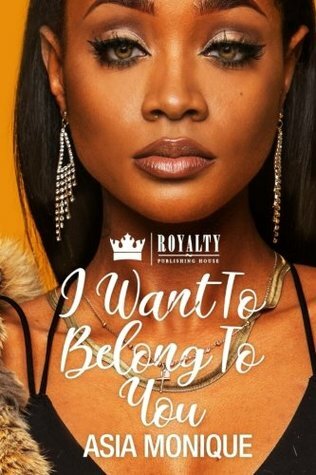 Lit-erally Black: I Want to Belong To You by Asia Monique--It was Alright or Whatever. I Want to Belong To You by Asia Monique--It was Alright or Whatever. A Captive Hearts spin-off! Reading Captive Hearts is not a requirement but will give you a full understanding of this story. Valerie Duncan hides her damaged soul with ease. She is always the laughing, bright smile wearing, and fiery personality everyone knows her to be, but deep inside, she is everything but that. A failed relationship and a body that couldn't take a pregnancy to full term causes her to make a promise to herself to never fall in love again. She is able to keep that promise, until in the midst of family drama, in walks Noah. Noah Peterson is the epitome of a southern man with southern charm, and being a cop in the gritty city of Detroit doesn't take that away from him. He's working hard in a new position in a new city, but when his friend, Jasiah, unintentionally introduces him to Valerie, his focus begins to shift. Valerie is everything he's ever wanted in a woman, but she's doesn't want anything to do with him... until she finds out that his job has become a danger to him. Then she finds herself wanting to protect him, even when she knows she can't. Can he win Valerie over while dealing with all the other drama in his life? Or has he bit off more than he can chew? This book had all the potential to be a five star read, but reaching and clean cut scenarios killed it. Noah and Valerie have been playing a game of cat and mouse for more than a year. Despite not having been able to catch her, Noah is determined to make Valerie his, by any means necessary--even if it means waiting another year, or two, or ten. Don't worry you won't wait that long--which was essentially apart of the problem. Love doesn't need to be hard but when its too easy, it doesn't read well. Noah chased Valerie for an entire year, and in a matter of pages gave in, just as easily. It didn't come off as very realistic, or even rational on behalf of the author. Make the chase seem like it was that, a chase. Little Miss Val, toyed with Noah for a year, only to be okay'ing him just too easy. When things just start falling into place like it was never wrong, but it was--I lose my patience and enjoyment as quickly as some of these characters call in love. I'm all for happily ever after. What I don't is forced conflict that should shatter a situation, fixed in a matter of pages. Example: Noah and Val are on a date, and just at the end of the date--a black lives matter-esque killing happens before their very eyes, and a secret is exposed in an unbelievable manner. Then it just so happens the victims mother, lives down the street from Valerie's mother and is at the house when Valerie comes to visit. That's far too convenient. It wasn't natural and felt forced. You can make fetch happen. Anyway regardless of that, I did like the book--even though it dangled between being unnatural and romantic. The romance often time won out. Readers will especially like the gentle way Noah deals with Valerie. His patience is warming, and his immediate love for Valerie and his obvious care for her needs will make him a quick book boyfriend. Valerie is no slouch, running her own real estate business, and being an all-around boss. Together they definitely give something to look forward to. The supporting characters were just as fun, a mouthy supporting sister, a daddy niece, and errant parents helped to progress this story forward. While I wasn't in love with this one--the bad did not outweigh the good. It's worth reading and for those of you that like your romance as neat as possible, this is perfect for you. No moments of tension, or banter to get through. Needs work, but worth reading. Three solid stars. Conflict and tension is what makes fictional relationships believable. I hope your next read is better, easy isn't always good.